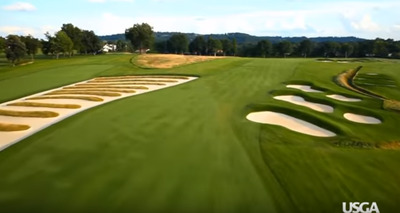 Much is being made about the difficulty of this year’s U.S. Open which is being held at one of the toughest courses in the United States, Oakmont Country Club. 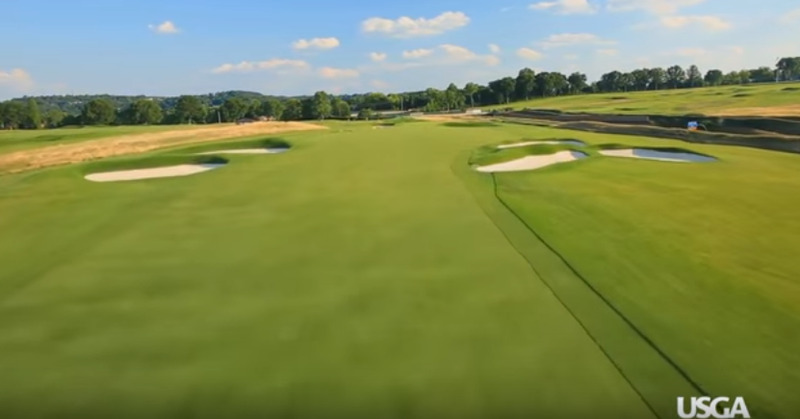 is the hardest golf course we’ve ever played,” one aspect of the course is flying a bit under the radar: just how much the course has changed over the last couple of decades. The biggest change is the number of trees. While there are still trees along the outer border of the course, Oakmont has removed 15,000 trees from the interior of the course since the U.S. Open was held here in 1983. 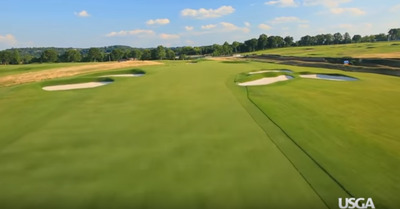 About half of the trees were removed prior to the 2007 U.S. Open at Oakmont and the other half have been removed since, according to John Zimmers, Oakmont’s course superintendent, during a recent interview with Golf Course Management magazine. In fact, after the purge, there is now just one tree remaining on the interior of the course, near the tee at hole No. 3. 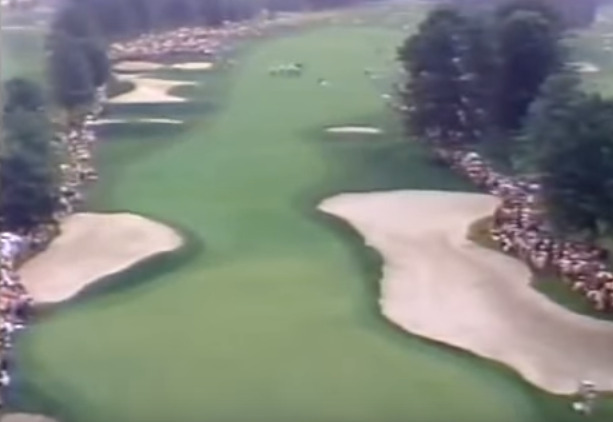 The rest of the course looks markedly different. Here is a look at the fairway of the par-4 No. 4, as seen back in 1983. This is looking back at the fairway from the green. You can see that trees line both sides of the fairway. The Church Pew bunker is difficult to see, but it is near the top of the image. 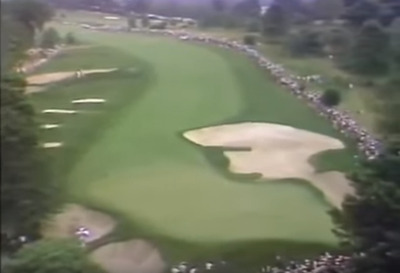 Here is the same hole this year. 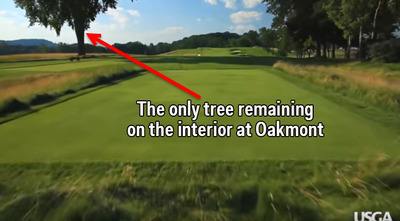 There are trees beyond the hole, which is the boundary of the course, but nothing short of the green. Here is the approach at No. 7 in 1983. Again, trees everywhere. 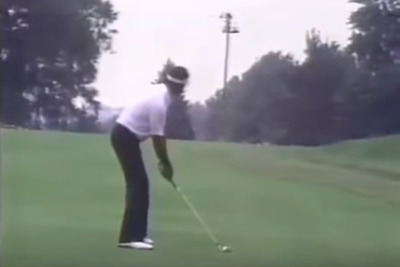 And here is the same approach at No. 7 in 2016. It is not even the same course. 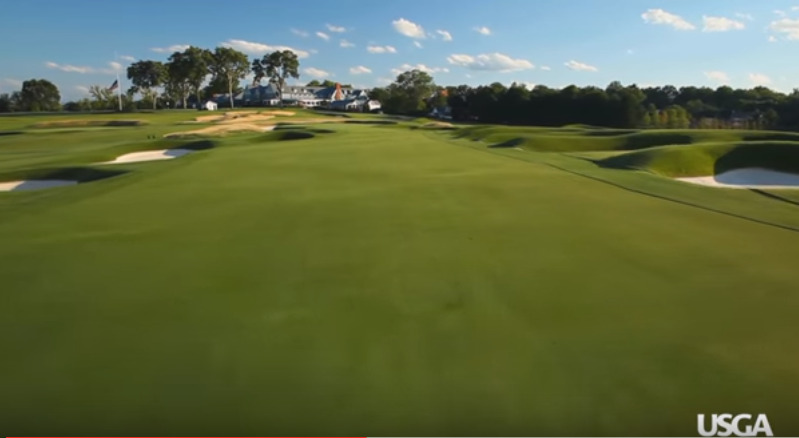 Finally, here is the fairway at No. 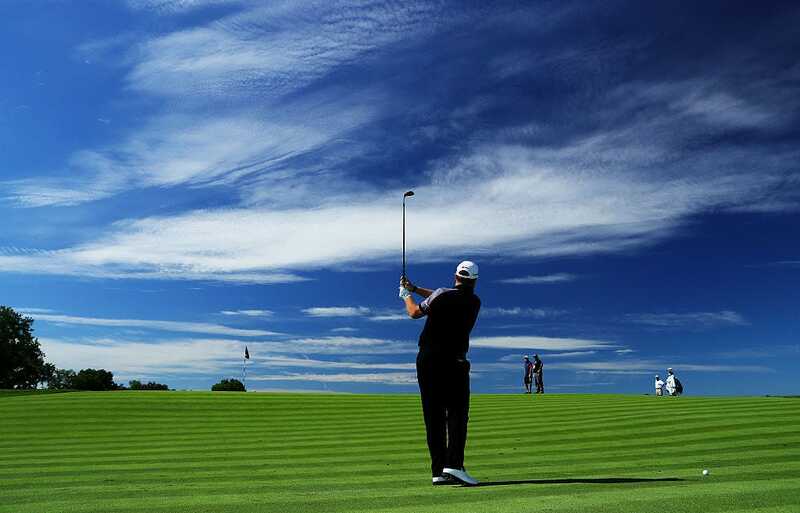 14, a hole where only the tee is near the exterior border of the course. And No. 14 this year. This is the reverse angle, looking towards the green. But again, no trees on the fairway or near the hole. 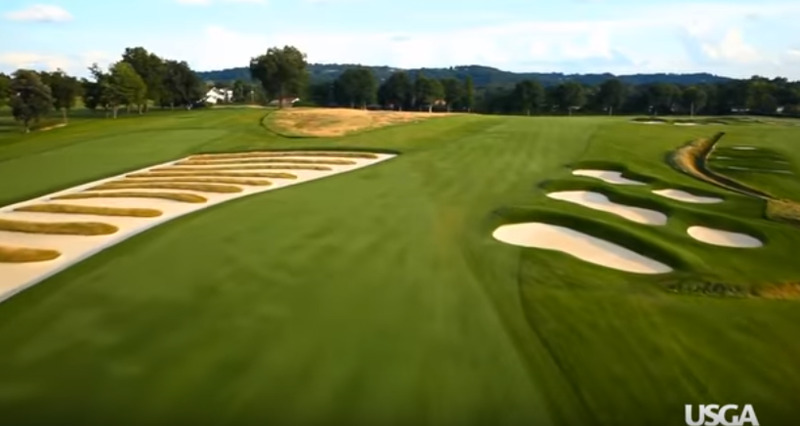 The tree removal was spurned by a desire to get the course back to what it looked like when it was first designed by H.C Fownes in 1903 and gives Oakmont a more aesthetic appeal. There is still the issue of lopping off 15,000 trees. While the idea can be a bit cringe-worthy for many, there is some upside, environmentally, according to Zimmers.